Dragon 214 – I am not cute and adorable and if you try to pet me, I’ll bite! I fought this drawing right from the rough sketch, but I was determined to bring it around. When I was almost finished, I was still really unhappy with it. So I broke out the smudging stumps and finished him off. 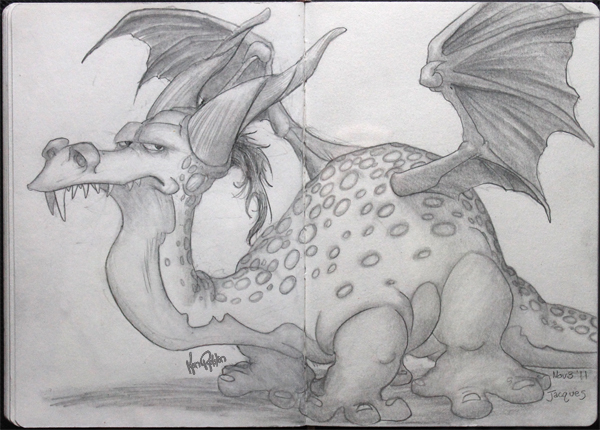 I was much happier with the final dragon.